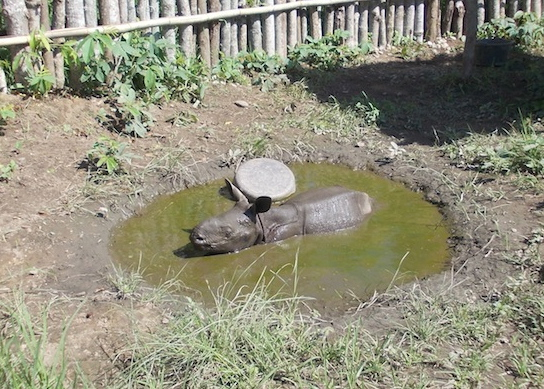 Rangers from the Manas National Park in India discovered Rhino 17 and immediately began searching for her calf, who had been sighted for the first time just a few week previous. The rhino calf was found about 3km away from where his mother was killed. The rangers knew that he was still to young to survive on his own, so in hopes of saving the exhausted and dehydrated calf, they darted him and transported him to a rescue facility. It’s been about two months since park rangers and WWF staff stepped in to save the orphan, and he is doing great! He is growing leaps and bounds in a specially built enclosure where he is hand fed eight times a day. The Assam Forest Department is even thinking about bringing little 17 a friend, who is another orphaned calf about the same age currently residing in India’s Kaziranga National Park. 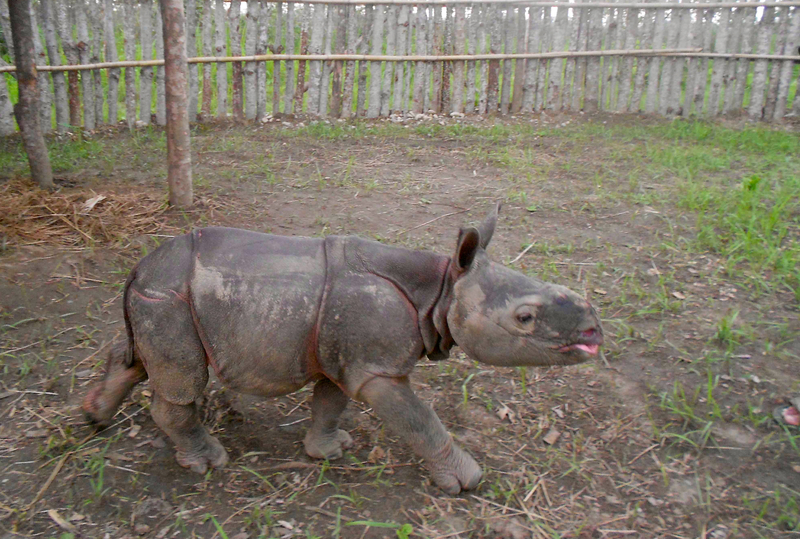 Little 17 is one of 3,200 greater one-horned rhinos left in the wild.